Attorney Cherezov & Partners law firm is one of the leaders of the Ukrainian market of legal services in the field of business protection and provision of high-quality services of attorneys in particularly complex criminal proceedings. Looking through websites of law firms you probably saw such phrases as: “a young but dynamically developing company,” “vast experience in all branches of law,” “we win all cases,” and other common phrases. All this does not apply to our company: we are not a new company; we have a permanent staff; we have information on the website exclusively about those branches of law, in which we are the specialists; the location of our cosy office in the very centre of the capital of Ukraine remains unchanged for many years; our company takes only the cases with a real prospect of a successful completion for a client. Effective protection of clients’ interests in a number of high-profile criminal proceedings has made our company one of the leading Ukrainian law firms in the field of criminal law. Corporate and civil disputes, which our attorneys successfully accompanied, repeatedly received media coverage. Dozens of executives and officials of the largest enterprises of Ukraine and representatives of foreign companies completed effective training by attending seminars and practical courses on legal protection of business which has been reading for many years by the managing partner of the company — I. Cherezov. Our law firm does not have a PR-manager. The promotion of the company on a very competitive market of legal services is carried out by our clients, by their recommendations of us as professionals and reliable partners. 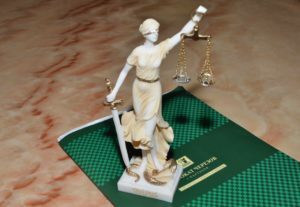 The Attorney Cherezov & Partners company was repeatedly awarded with various awards and was in the lead in various independent ratings — in those where you are not asked for a fee “for making the top list of the best.” Thus, in particular, Attorney Cherezov & Partners law firm became one of the five best law firms of Ukraine in criminal practice in the Legal Awards of 2016 Contest, and, in 2017, it won the Choice of Ukraine award. We work according to the principles of European law firms, in which client’s problem is dealt with directly by an experienced attorney, not by a staff of young assistants. Our principle is not a number of orders but success in solving a problem of each client. Yes, we can afford to choose whether to tackle a client’s problem or not, but the main criteria are: a workload of company’s attorneys, prospects of success for a client, and not a big name or an amount of possible fee. Our reputation on the market of legal services is deserved by high-quality service, fair prices for services, and most importantly by a large number of won complex cases. That is why the major Ukrainian and foreign companies, public and famous people entrust their interests to the Attorney Cherezov & Partners company. Most of our clients, who began to cooperate with us, become our partners for years to come.